The 10 Best Places For A Bloody Mary In South Dakota! 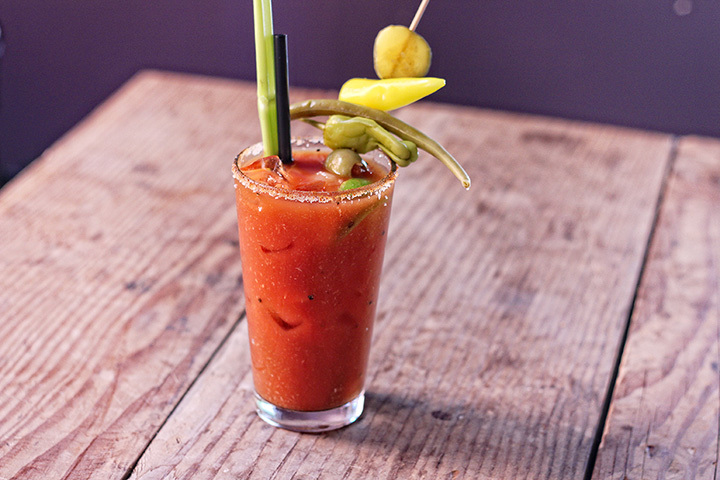 Vodka, tomato juice, celery and olive garnish, maybe even bacon—that’s how you make a delicious Bloody Mary. These cocktails are the star of the show when it comes to brunch…or any time really. If you’re looking for a traditional option or something more unique, you’ll find it at these 10 great places for a Bloody Mary in South Dakota. Pounders Pub & Grub in Aberdeen is one of the best watering holes in town where locals gather to get a beer after work or watch a sports game. The casual atmosphere is exemplified by the open design, concrete floors, and tool boxes as server stations. They offer over 60 types of bottled beer and 40 craft beers on tap, and if beer isn’t your favorite drink, they offer plenty of liquor and creative cocktails. One of their specialties is the delicious Bloody Mary. People come from all around to enjoy the yummy food and refreshing Bloody Marys at Nugget Saloon in infamous Deadwood. They are open from 7 a.m. to 2 a.m. each day, so you can get your Bloody Mary fix anytime of the day! The menu includes favorites like pizza, breadsticks, burgers, sandwiches, steak, pork chops, chicken, jumbo shrimp, and deli sandwiches. The Nugget Saloon claims to have “the best Bloody Mary in town,” so make sure to go and test their claim for yourself! Mad Mary’s Steakhouse & Saloon offers the perfect combination of class and casual, making it a fun and enjoyable steakhouse dining experience. Whether chowing down on the perfect, melt in your mouth steak or sipping on one of their famous Bloody Marys, you’re not going to want to miss this established Pierre eatery! Kol is a revolutionary downtown dining experience in Rapid City. The restaurant’s centerpiece is their huge coal fired oven that spans almost 10 feet wide, and is used to make meals that can’t be found anywhere else in South Dakota. The creative menu was meticulously handcrafted by seasoned chefs and includes favorites like yellowtail sashimi shrimp, shrimp ceviche, street tacos, a variety of sandwiches, and hand tossed pizzas with all different flavor combinations. Not only do they have unbeatable food, but the drinks are also to die for, especially the handcrafter Bloody Marys. Rapid City locals say that Kol has some of the best Bloody Marys in town. Located in the Gold Dust Casino, Mavericks is a classic Deadwood eatery. They’re famous for their steaks, barbecue, and ribs, but the menu has so much more than that! From salads to sandwiches to pasta to kids dishes, there is truly something for everyone here. Wash down the tasty meal with one of their signature cocktails, like the famous Mavericks Bloody Mary. It is made with the perfect combination of tomato juice and vodka and then decorated with garnish. Ode To Food And Drinks in Sioux Falls doesn’t just serve food, it is a passion for the workers here. The menu offers creative options like Chilean sea bass, Szechuan duck breast, Guinness brined pork chop, grass fed lamb burger, or goat cheese salad. While the food is divine, the Bloody Mary is the true star of the show. Every Saturday, the eatery offers a huge Bloody Mary bar. So this is the place to be for Bloody Mary aficionados! Located in the charming Black Hills tourist town of Lead, the Stampmill Restaurant and Saloon is a favorite for locals and tourists alike. The eatery is situated in a lovely historic brick building and the interior is decorated beautifully in a classic style. The menu includes everything from salads to pasta to burgers, but make sure to wash it all down with one of their handcrafted Bloody Marys. These drinks are a favorite around town, whether for a casual brunch or a drink after work. Cubby’s in downtown Brookings is a casual establishment with a game area, 55 televisions playing all kinds of sports games, and friendly customers who are happy to chat. The menu offers appetizers, wings, nachos, baskets, salads, wraps, burgers, and desserts. The drink menu has plenty of choices, but many order the Bloody Marys or other classic or creative cocktails. Red Steakhouse is one of the top restaurants in Vermillion and is praised for not only their certified angus beef steaks but also their delicious Bloody Marys. The steaks are all made with 28-day wet aged beef, with a large variety of cuts and sizes available. Steak add-ons are also offered and include bleu cheese, caramelized onions, or shrimp. Pair the tasty steak with a Bloody Mary, made perfectly by the steakhouse’s expert mixologists. Sturgis is a rough and tumble town that is known around the globe for hosting the world’s largest motorcycle rally each year. But that's not the only thing they’re famous for! The Knuckle Saloon is well known for their mouthwatering Bloody Marys, made with the ideal tomato juice and vodka mixture and adorned with celery and olives. Make your way to the Knuckle Saloon for an exciting night filled with Bloody Mary galore! View more South Dakota Bars and Saloons.